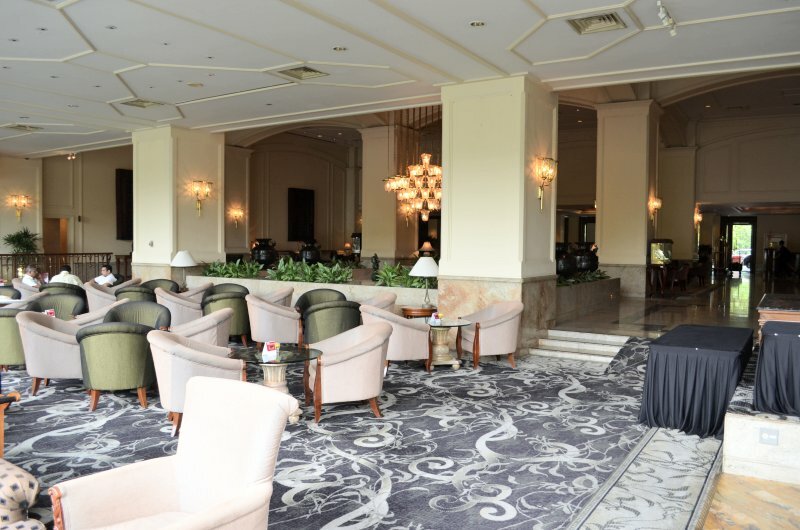 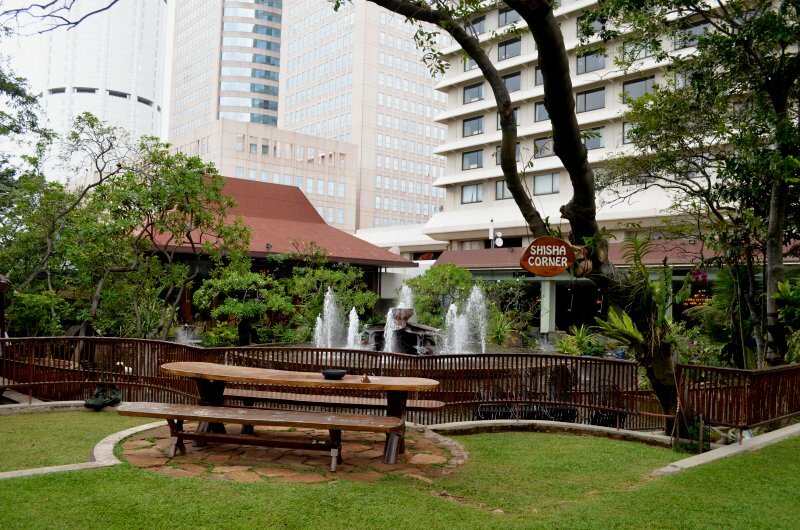 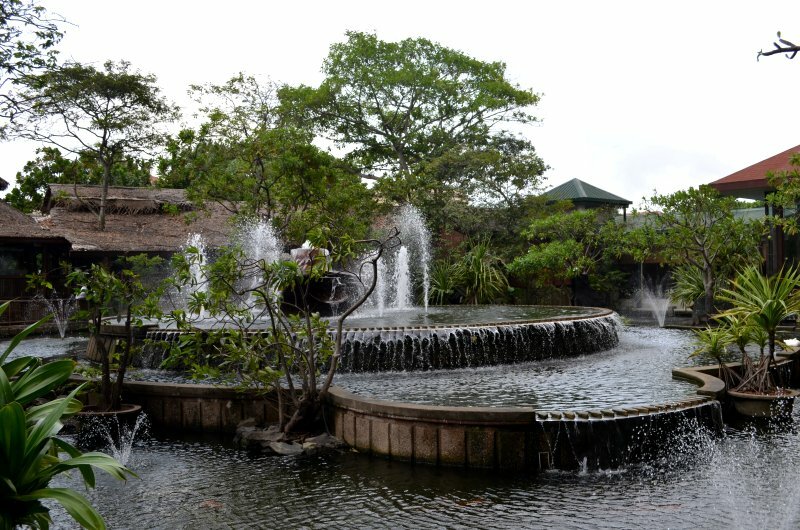 LEFT: Some general views of the Hilton Colombo showing the exterior, lobby lounge, tea displays and the grounds. 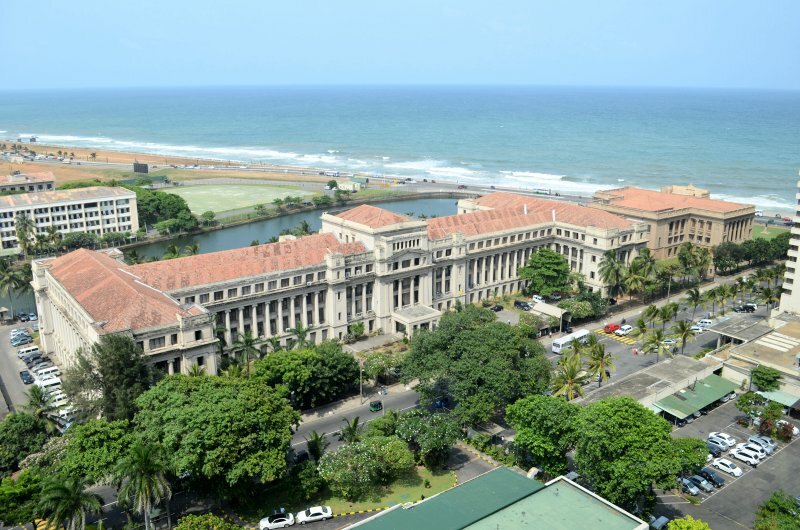 There are aspects of the Hilton Colombo that made it resemble a resort hotel, yet it is situated right between the city's business and government districts, only a short walk from the station in one direction and the attractive Galle Face Green in another. 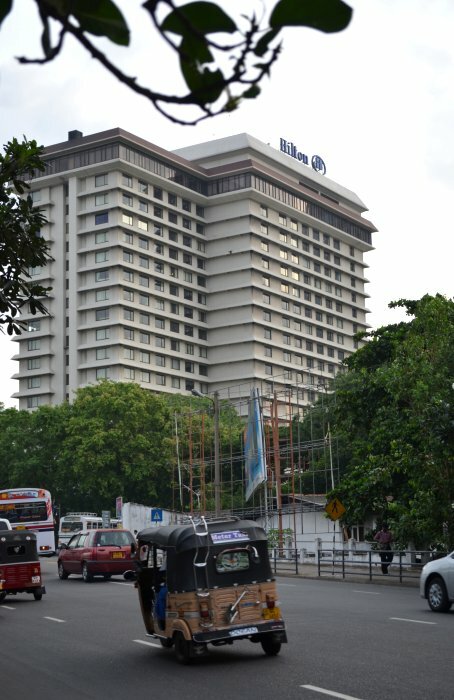 Its high-rise design makes it a landmark in the city. 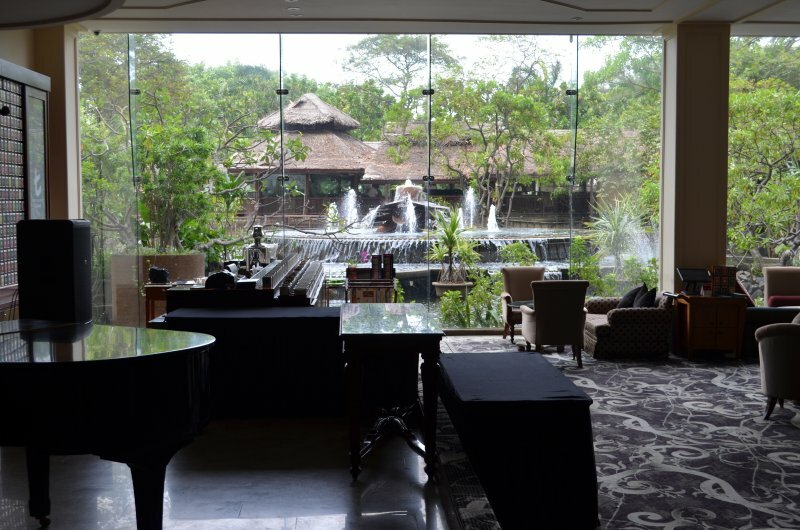 The property features a sizeable swimming pool and sports club, a grand ballroom and no fewer than ten well-regarded restaurants, including Sri Lankan, Chinese, Japanese and Italian. 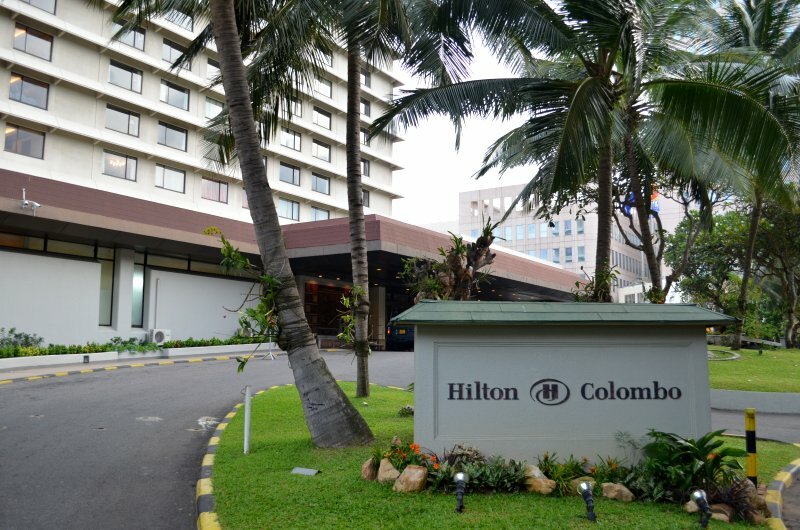 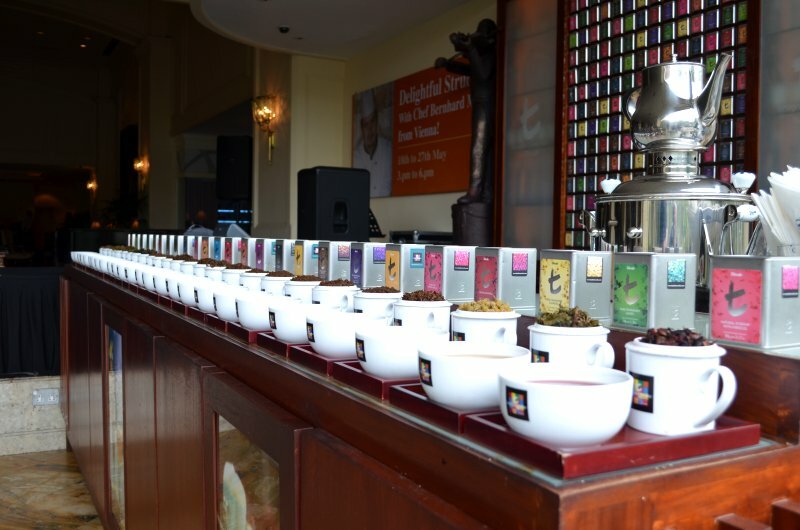 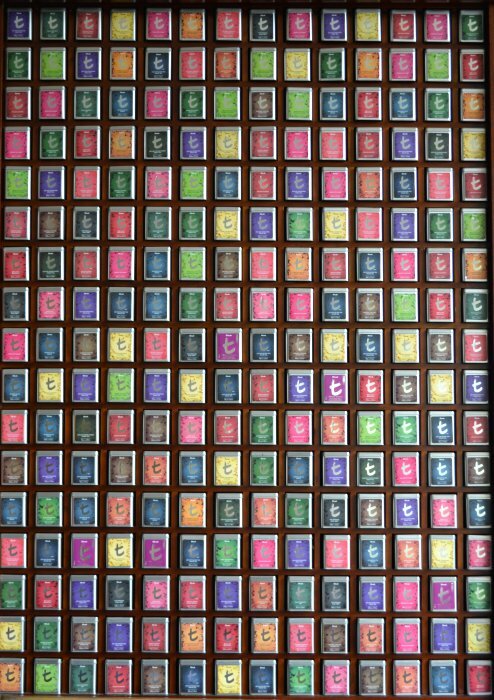 High tea at the Hilton is a Colombo institution: it seemed to be very well presented and equally well patronised. 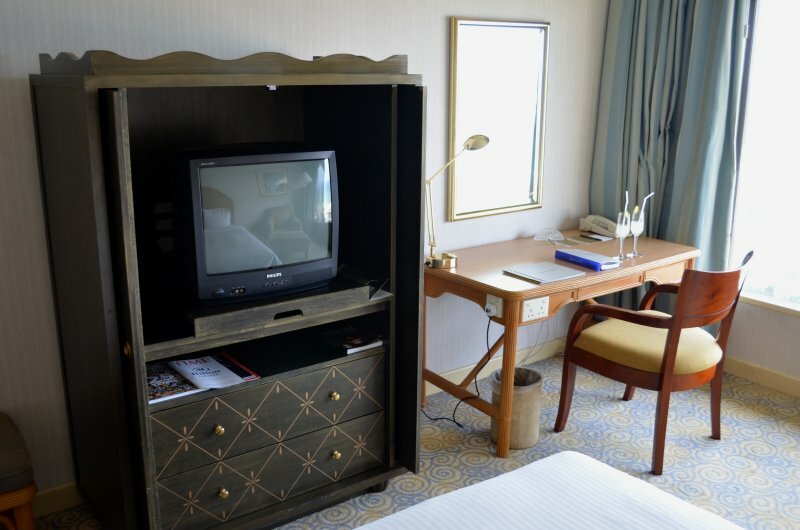 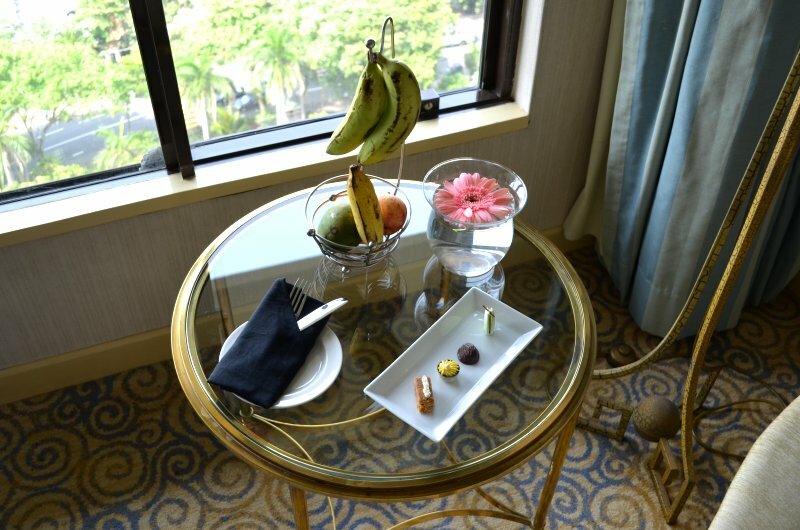 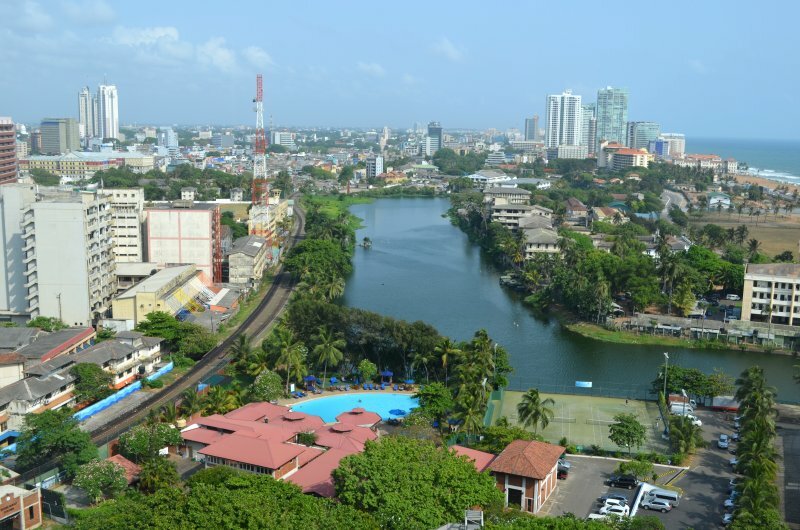 For the main stay in Colombo, we were allocated a standard twin room on the 17th floor, which was designated as an Executive Floor. 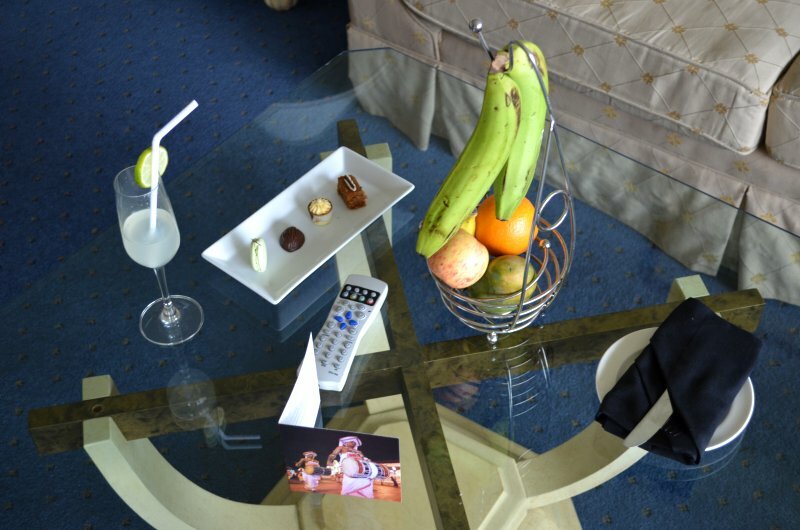 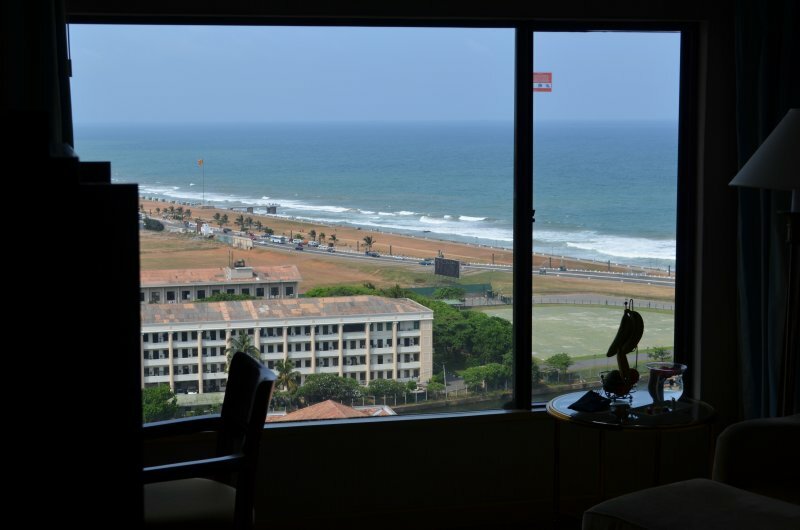 The room had particularly fine views over Galle Face Green. 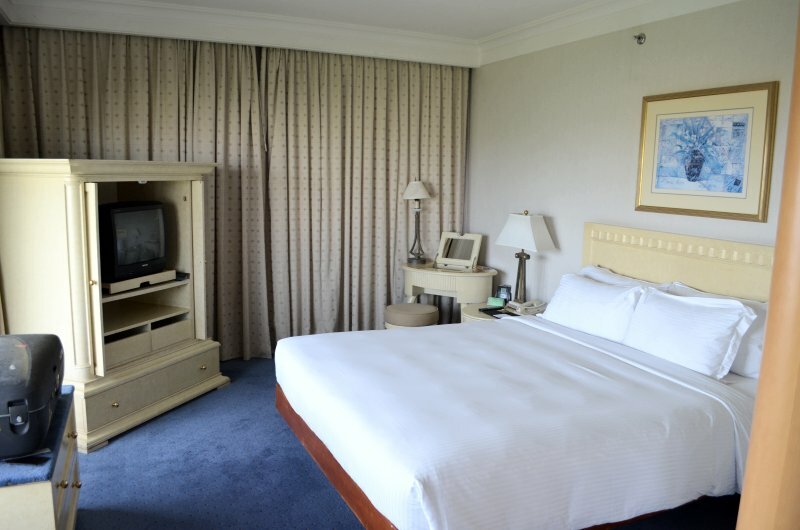 Second time around, I was allocated an attractive and spacious 8th floor corner suite. 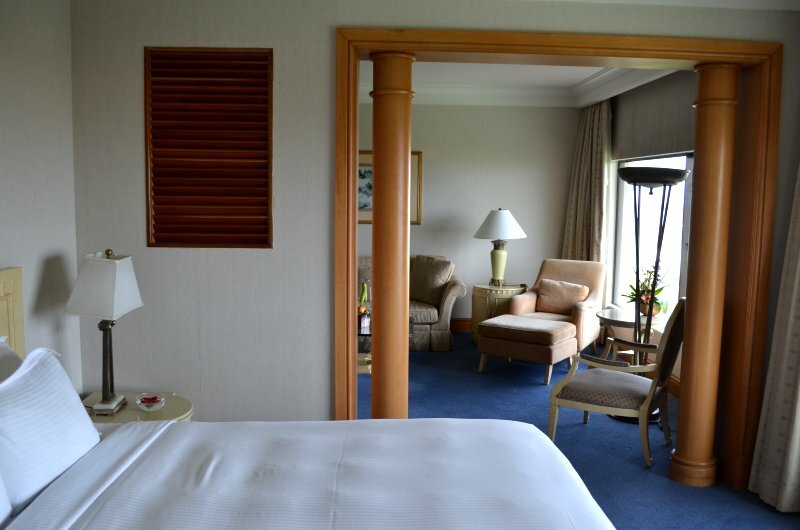 The only slight problem was that the single air conditioning unit, located in the living room, was not sufficiently powerful to cool both rooms adequately, so that the bedroom invariably tended to be too warm. 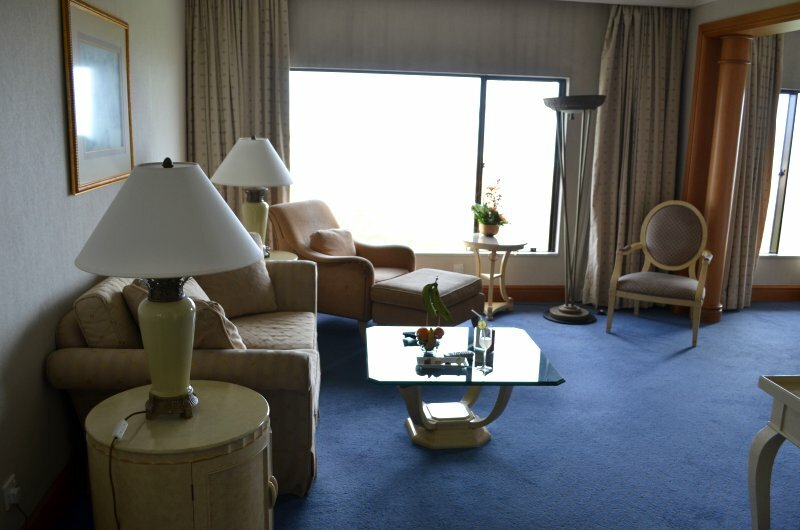 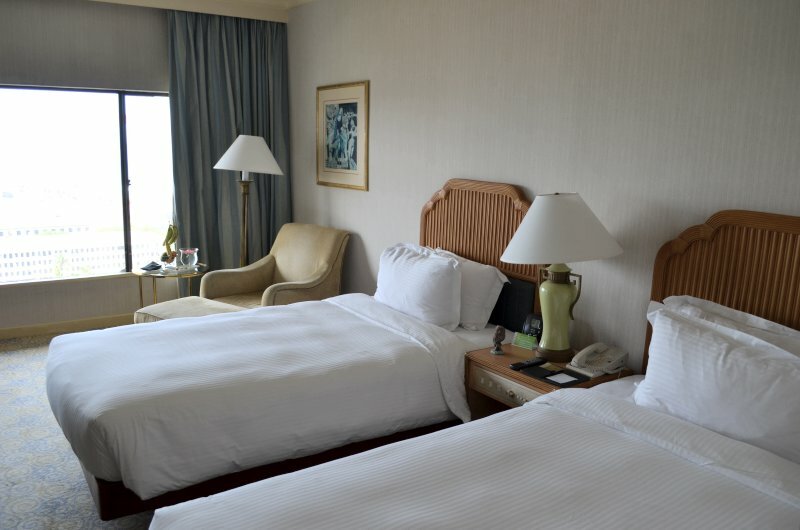 While not on a designated Executive Floor, I nevertheless had access to the 18th floor lounge. 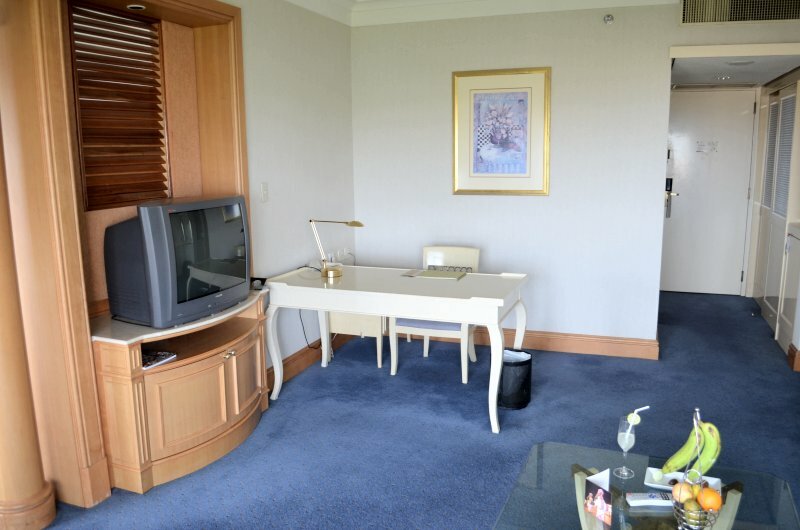 I couldn't help observing that the bathroom in both rooms seemed to have come straight out of a retro US hotel / motel.